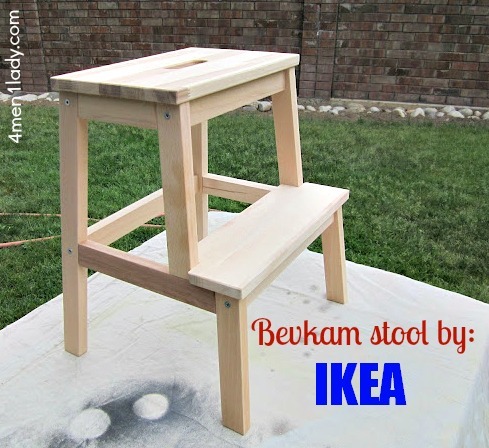 *(IKEA does not recommend painting this stool because it could become a slipping hazard)*. 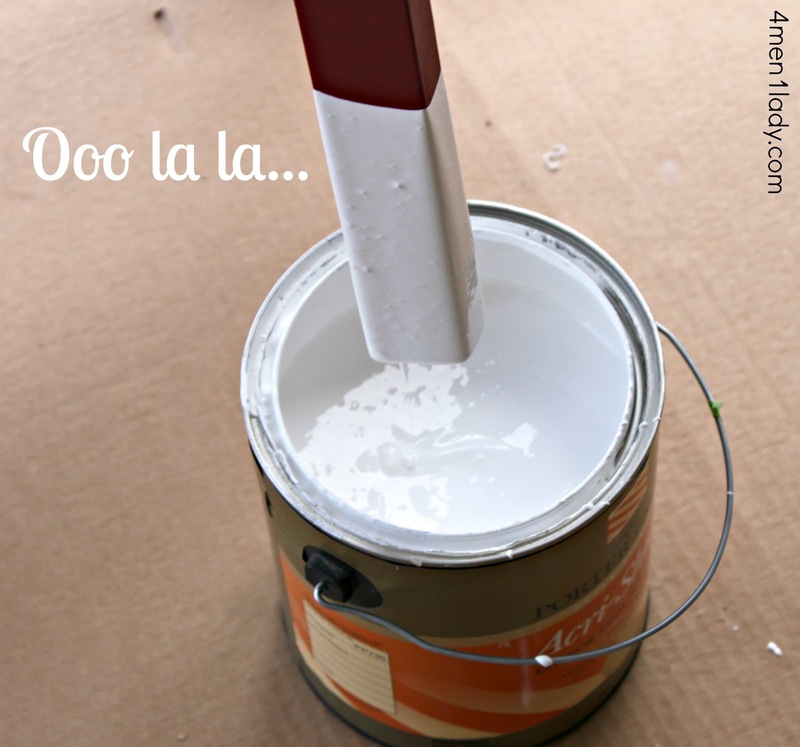 Spray primer and matte paint…Voila! 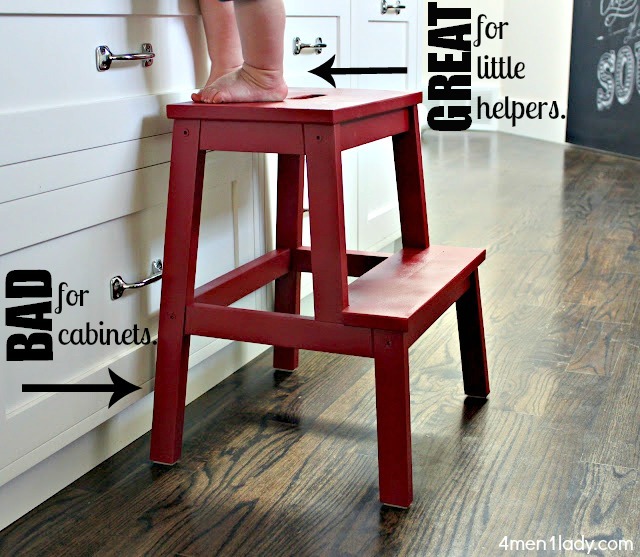 Oh well, I’m raising kids, not cabinets. And no more red marks on the cabinets! 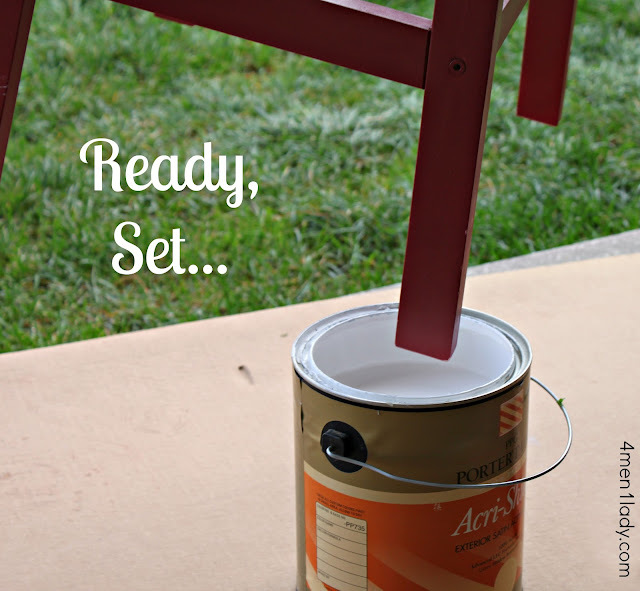 -To ensure the paint adhere’s properly, lightly sand the surface first. 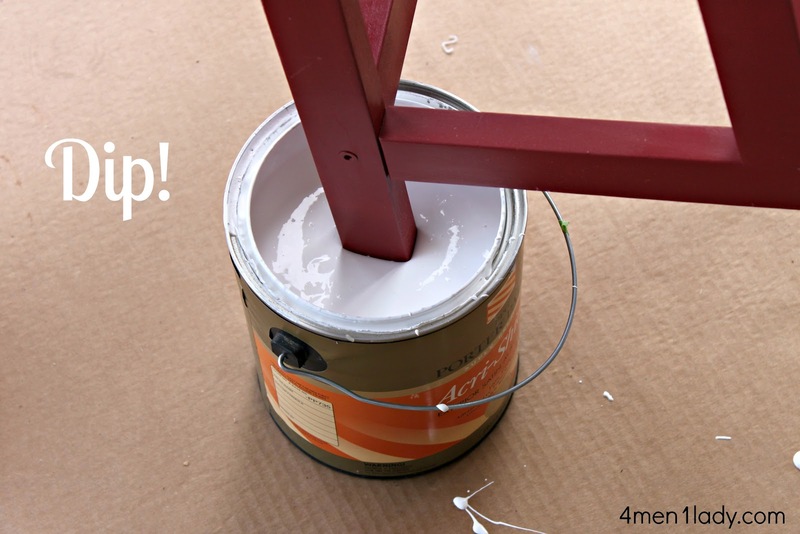 -Also, first use a primer if your paint isn’t a paint and primer-in-one. -You can also achieve the same look by taping of what you don’t want painted then spray painting what you do want painted. « Wading in the paint. That’s a great (and stylish!) solution 🙂 I probably would’ve stuck some floor protector fuzzies on the front where it was hitting the cabinets lol not very pretty! Practical AND pretty! Great solution! LOVE it! 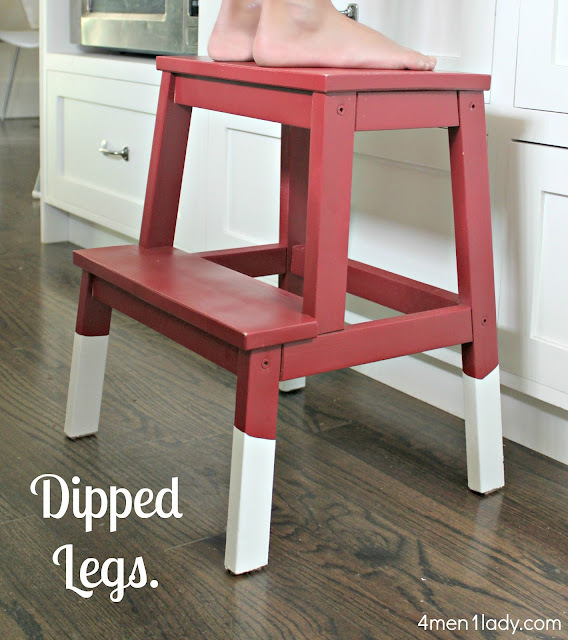 I’ve seen your pins about dipped legs and was waiting to see what you would do with it. Looks great! 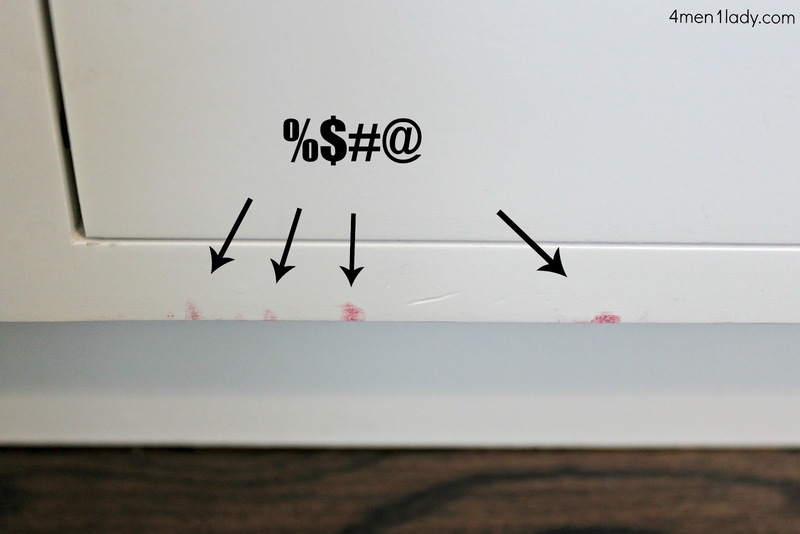 How’d you end up getting the red paint off the cabinets? Magic Eraser? Love this. 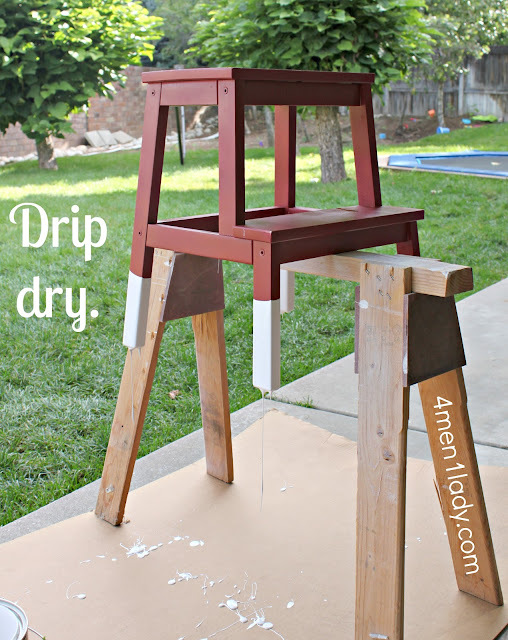 I want to do it with some old stools I have! Love me some dipped legs! What a perfect solution – and it looks SO cute! Looks great!!! I love the look! Upon initially viewing samples of the “dipped” style, I had a very difficult time adjusting my eye to this. I’ve studied the image of the stool with that precious little foot on it and I realize that I need to see more balance in the design. 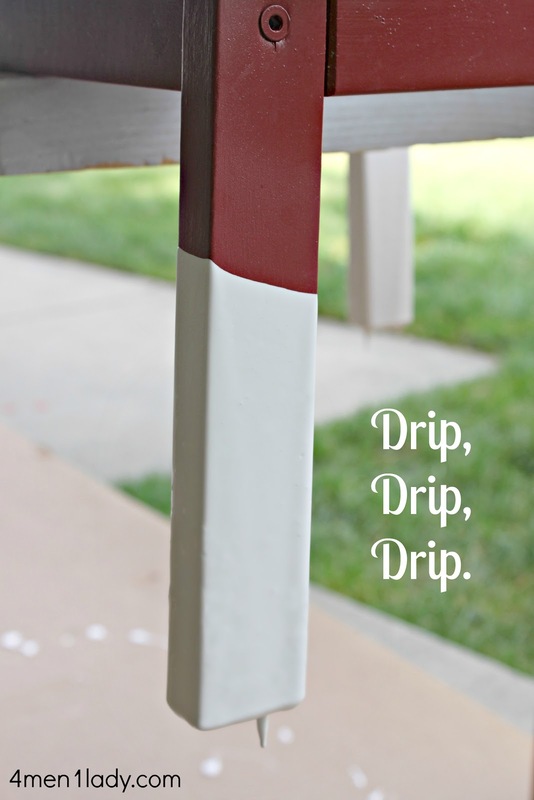 The functionality of this idea cannot be overstated – this is a WONDERFUL way to avoid color transfer onto your new cabinets, despite the fact that you are raising children and not cabinets.